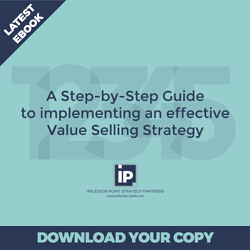 One of the biggest challenges for any sales person when qualifying a new potential sales opportunity is judging whether the deal is real - and whether the initial contact is someone who has the ability to make things happen. Sometimes it’s obvious that the person reaching out to you is on an information gathering exercise for someone else, or simply pursuing an enquiry based on nothing more than personal curiosity. But often, the person comes across as credible. They may even claim to be the decision maker. How can we make a more informed judgement about whether they are really capable of driving the change agenda? 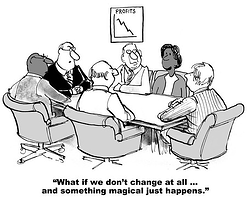 The question is particularly important in typical complex B2B sales environments where there are likely to be multiple stakeholders, and where investment decisions often depend on achieving a certain level of consensus on whether change is necessary at all and if it is, what to change to and with what degree of urgency. In these sort of complicated and lengthy decision-making environments, and in the absence of a truly compelling and urgent reason to change, the easiest (and most common) outcome of the buying decision process is simply to conclude that they might as well just stick with the status quo, at least for the moment. The authors of “The Challenger Customer” shared some persuasive research about how purchase intent declines dramatically as the number of stakeholders grows. And with 6.8 participants in the average decision making team we shouldn’t be surprised that “do nothing” is often our fiercest competitor. I don’t intend to duplicate their findings - although I do recommend that you read their book - but I do want to explore some of the practical implications of this challenge, and to suggest some ways of both avoiding “false positives” and dealing with marginal projects more effectively. My first recommendation is that we should never take a prospect’s claim to be the ultimate decision maker at face value. Without directly confronting their credentials, it’s always a good idea to explore who else is affected by the issue, what impact it is having on all the affected parties, and how the organisation might have tried to address the issue in the past. If our current contact is unable to articulate the basic business implications of the issue, or to identify the other affected parties, it’s a reliable indicator that they are unlikely to be somebody who is going to be able to drive the change agenda. We also need to understand how other similar issues have been dealt with before, and what the decision-making process and team was for these projects. It’s particularly useful to understand the dynamics behind similar projects that might have failed to get approval, and where those projects fell down in the decision process. 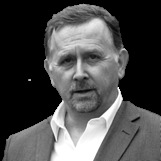 Significant buying decisions are in their essence change programmes - and change programmes tend to fail without a strong change agent at the helm - someone who is capable of aligning their colleagues into a “coalition of the willing” that is capable of not only recognising the compelling need for change but also making change happen. These change agents are sometimes but not inevitably the people with the budget and the ultimate decision authority, but if they are not they have the ear of these powerful players and are respected by their colleagues as someone who can be trusted to make drive the change agenda. If our current contact does not demonstrate these “change agent” characteristics, we would be wise to explore whether other potential change agents exist, and whether we can engage them in our sales campaign. If we cannot identify and engage a potential change agent, it would be sensible to carefully assess the chances that the project will actually be approved at the end of the day. This, of course, is not simply about the merits of our project or the leadership of the change agent we have identified. It’s also about the relative importance of this project set against all the other projects the prospect could choose to invest in. So in addition to assessing the case for change and the quality of the person leading the change agenda, we also need to be very keenly aware of how closely the project is linked to one of the handful of critical priorities that the customer organisation is working towards. In fact, if you cannot associate the project you are working on with one of the customer’s prime initiatives, this is another reason to proceed with caution - or to see if there is any way in which you can establish such a connection. That’s why it’s so important to accurately assess not only whether there is a compelling need to take action and whether the project is being led by a proven change agent on the customer side, but also to assess the relative priority of the project against everything else the customer organisation cares about. If we can accurately assess and act upon these factors, the outcomes are obvious: we will pursue fewer opportunities that end in “no decision” and we can convert what might otherwise have turned out to be marginal opportunities into successful sales. 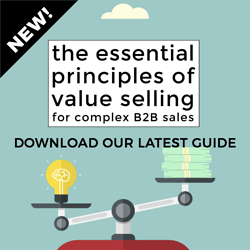 By the way, if you're interested in some of the broader principles behind Value Selling, I think you'll appreciate this guide.